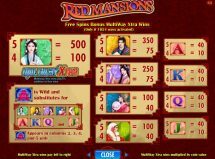 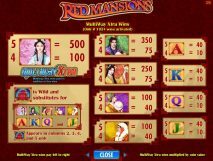 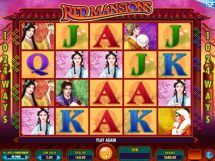 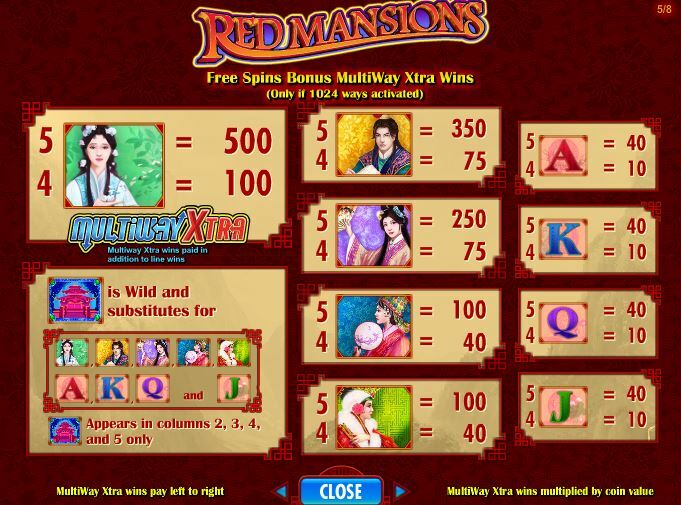 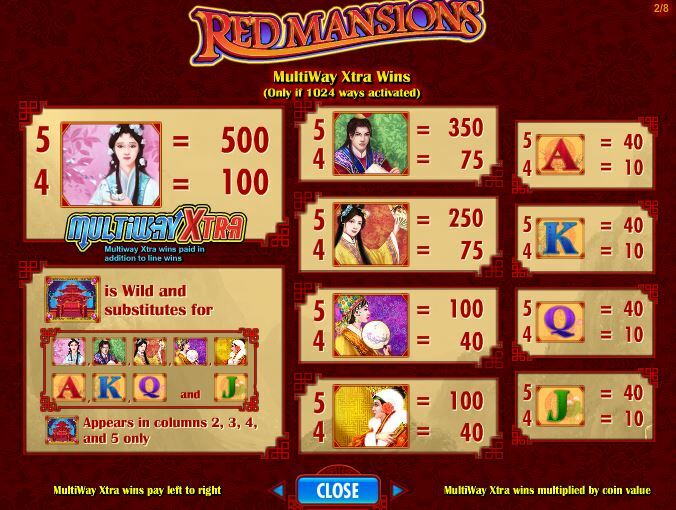 Red Mansions slot is an IGT game similar to the classic Crown Of Egypt slot with 1024 ways to win over 5 reels of 4 rows. Wilds non-multiplying appear reels 2 to 5 and the feature trigger is 2 or more stacked scatters on the centre reel which award 10, 15 or 20 free games respectively for 2, 3 or 4. 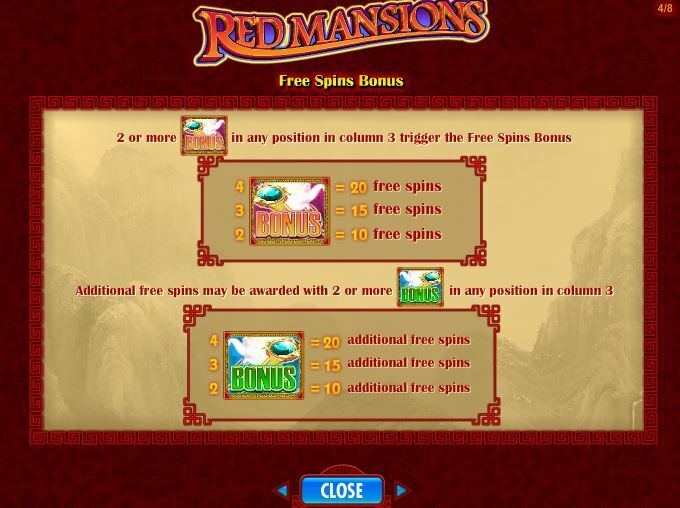 You can retrigger them and like many IGT games reels are more benevolent in the bonus! 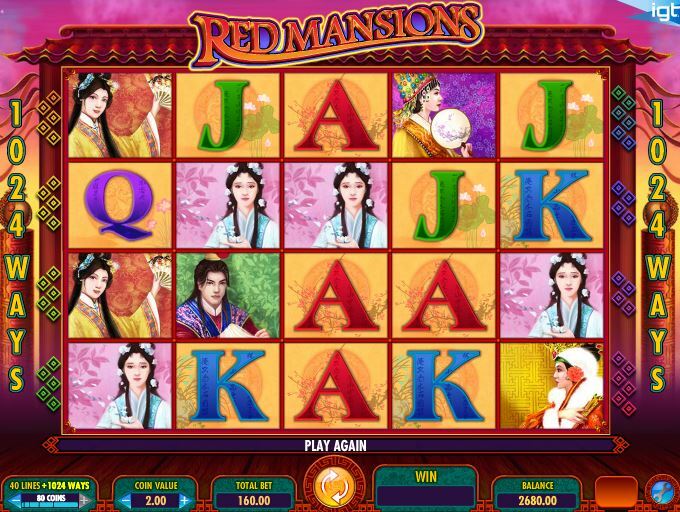 RTP is 92.09-95.03%.